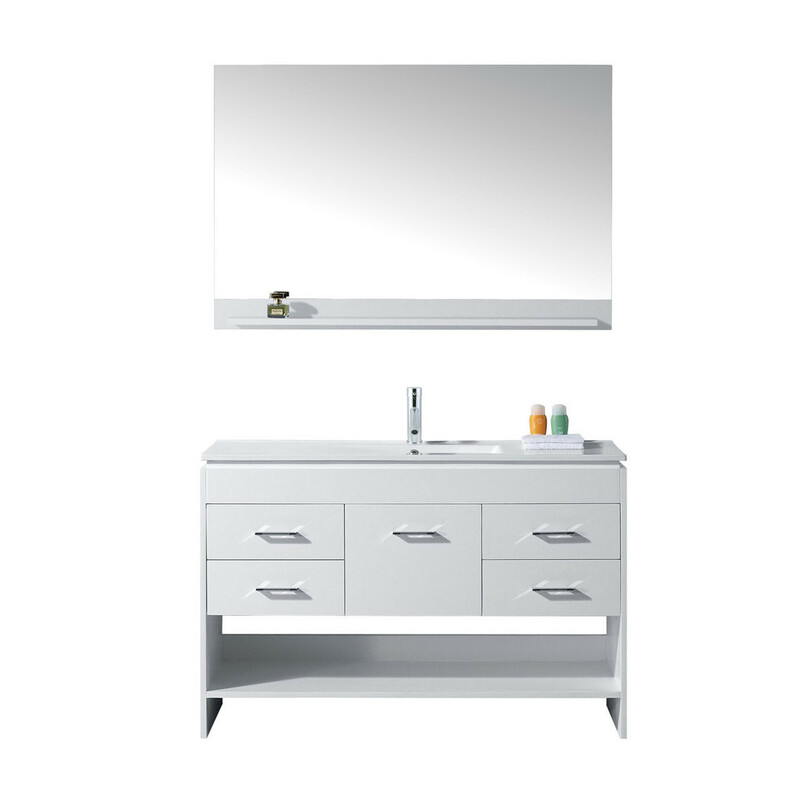 Born from hospitality designs, the Gloria vanity has a beautiful and welcoming appearance. This amazing vanity was initially designed and built for a modern hotel project. The success and positive feedback led Virtu USA to bring this inspiration to life and into the homes of customers. The vanity features solid oak wood construction and a gorgeous ceramic basin with a top quality faucet, designed to last a lifetime. An open area shelf allows towel display making the Gloria ideal for any guest bathroom. Available in 36” and 48” with single or dual basins, vanities in the Gloria Collection are finished in your choice of espresso, grey, or white. Virtu USA has taken the initiative in changing the vanity industry by adding soft closing doors and drawers to their entire product line. The premium soft-closing hardware not only increases the safety of the vanity, but also its lifetime reliability.